Saturday was the day for A Knitter's Fantasy in Youngstown, OH. This is a one day conference with classes, lunch fashion show, and MARKET. I taught two classes; Mosaic Knitting and Pattern writing. Both classes ended early when I ran out of info to teach them, but they were happy. The morning class went to the market and the afternoon class went home. I got paid in Market money and bought Nancy Marchant's Brioche book and a skein of Cherry Tree Hill Sock yarn. I finished the socks I was knitting. I called them Dreaming of Violets, but the pattern really is Grun ist die Hoffnung by Stephanie van der Linden. The yarn is Aussi Sock. 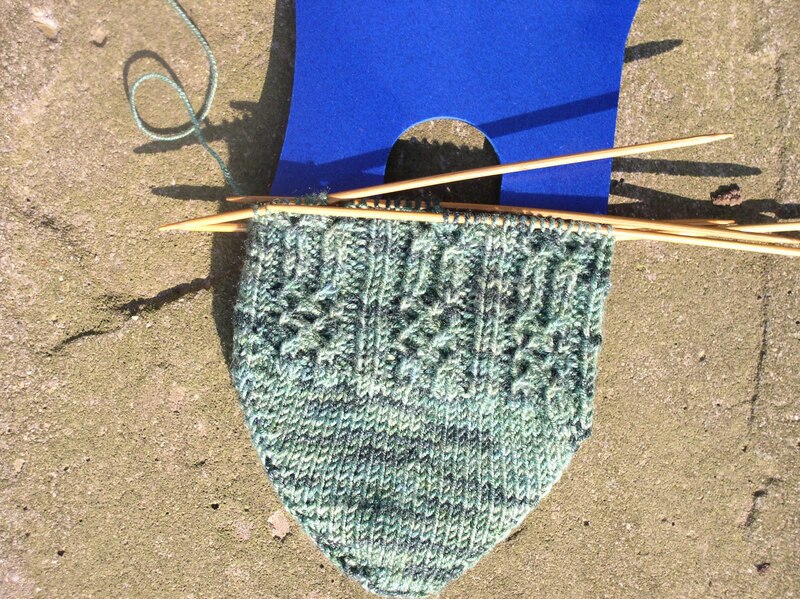 The sock starts with the lace motif on the foot. 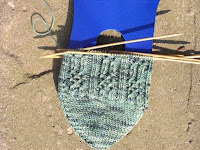 The toe is knit, then the sole of the foot, then the heel. 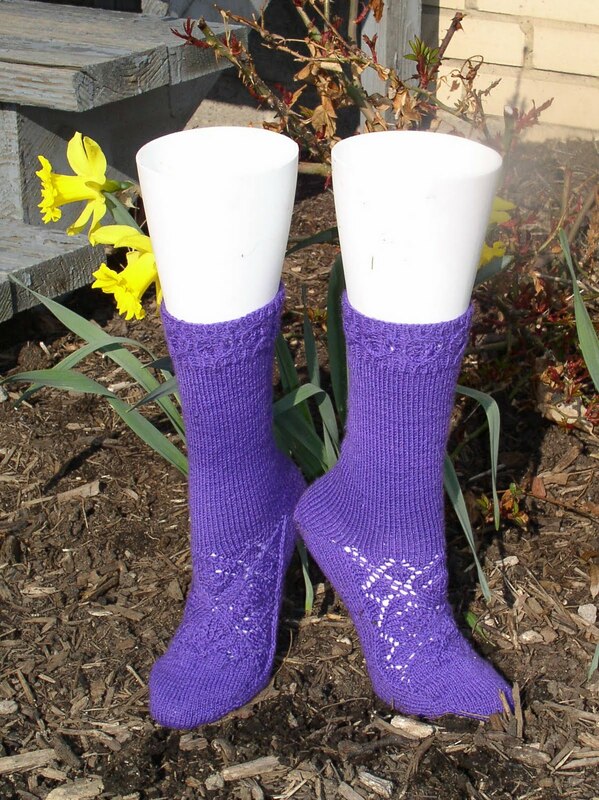 The leg is stockinette and the lace ribbing is a pattern from a Japanese knitting book. The home remodeling is moving along. The crew has finished with patching the hall, and the walls are painted. Woodwork painting starts tomorrow. The daffodils mean that yard work season is starting. Leaves to rake, Weed to dig up, new flowers to plant. Warm weather to enjoy. My latest sock is knit from yarn bought at the Guild Yarn Hop last year. It's Crystal Palace Panda Silk, a combination of bamboo, superwash wool, and silk. The pattern is a Chrissy Gardiner pattern from Interweave Knits that I've wanted to do for a couple of years. The yarn is luscious.